“Grandma’s Way” – When Katie gets sick, Greg enlists Kathryn’s (Wendi Malick) help in taking care of the kids, but Kathryn leaves the kids to fend for themselves while she entertains an old high school boyfriend. 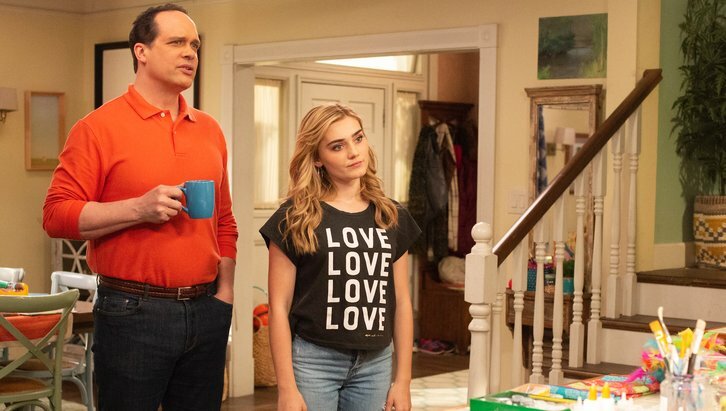 Meanwhile, Taylor gets a taste of her own medicine when she tries to help an unruly Katie on an all-new episode of “American Housewife,” TUESDAY, APRIL 23 (8:00-8:30 p.m. EDT), on The ABC Television Network, streaming and on demand. Guest stars include Wendie Malick returning as Kathryn, Gregory Harrison as Dan and Peyton Meyer as Trip. “Grandma’s Way” was written by Lauren Caltagirone and Jeremy Hall, and directed by Paul Murphy.